While DAB radio has its detractors amongst audiophiles, it is clear now that it is the platform of choice for UK digital radio, following Lord Carter's Digital Britain report earlier this week. In addition to the news that all national UK radio stations will be digital by 2015 and that, by extension, analogue stations will soon after be phased out, the government and the British car industry (what is left of it!) 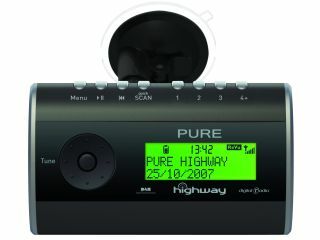 is pledging to make in-car DAB radios standard by 2013 - similar to legislation already introduced in France. The DRDB's (Digital Radio Development Bureau) Chief Exec Tony Moretta told TechRadar in a recent interview that DAB has to reach 90% of the population before the switchover can be made. Vauxhall's Group Product Manager, Stuart Harris, says: "As one of the first car manufacturers to fit DAB as standard in certain models, we welcome this next step in the evolution of digital radio in the UK. The certainty of digital switchover provided by the Digital Britain report will enable us to develop our support for DAB still further and we believe we are in a good position to comply with the recommendations for the car industry contained within it." The DRDB's chief adds: "The suggested deadline for digital radio to be standard in all new cars by 2013 draws a line under years of uncertainty for the car industry as far as digital radio is concerned. With a clear set of standards now agreed across Europe, manufacturers such as Ford and Vauxhall can confidently and cost effectively plan their migration from analogue to digital, with all the resultant benefits for their customers. "The DRDB and the radio industry will continue to work with car manufacturers to ensure a smooth transition from analogue to digital radio over the coming years." The Digital Britain report also noted that "broadcasters should be prepared to experiment with more advanced compression technologies and manufacturers must ensure DAB sets are futureproofed and able to receive DAB+ and DMB-A," notes the Guardian.